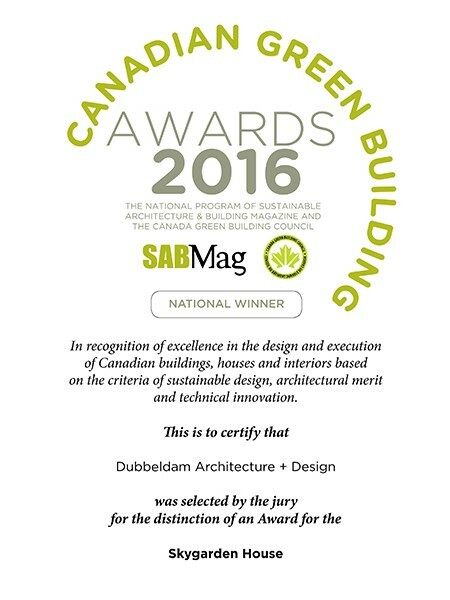 The Canadian Green Building annual awards recognize the best Canadian green buildings as selected by a panel of independent design and building professionals. Jury Comments: A renovation project that transforms a highly compartmented and energy intensive century old, single-family house into a bright, open and efficient residence. Organized around a central stair that also functions as a light well and ventilation chimney, the house achieves an impressive level of energy performance - close to Passive House standards. With green space provided at every level, the relationship between indoor and outdoor space is apparent everywhere, a remarkable achievement given the constrained site.